The Four Tops are an American band. They are a Jazz quartet from Detroit, USA. They formed in 1953 and still perform. They have to be recognized as one of the original groups that created the Motown sound of the 60’s. The group has had great chart success over the years including two Billboard Hot 100 number-one hits: “I Can’t Help Myself (Sugar Pie Honey Bunch)” and “Reach Out I’ll Be There”. 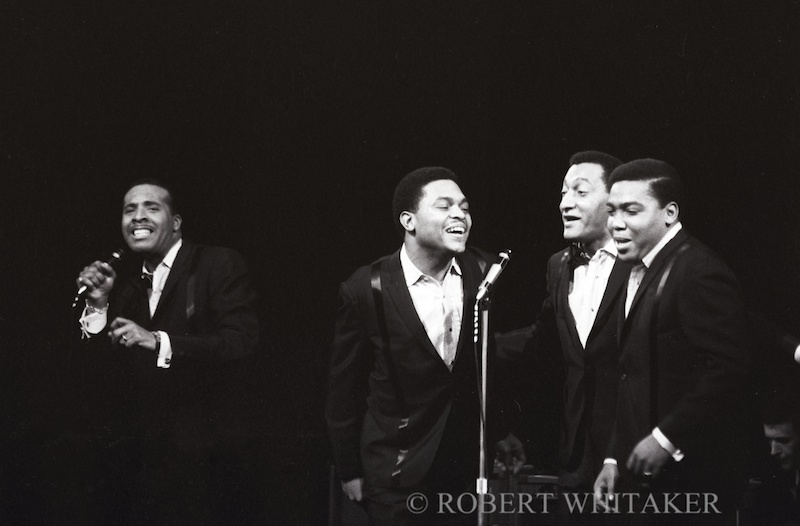 On November 13th (Roberts 27th birthday) 1966, The Four Tops performed at The Saville Theatre, London. The Band played that night in a line up with Cliff Bennett and the Rebel Rousers, The EasyBeats and Bob Miller. The line up was presented by Brian Epstein. Brian Epstein, manager of The Beatles and himself a former drama student, leased the theatre in 1965, presenting both plays (including works by Arnold Wesker) and rock and roll shows. The venue became notorious for its Sunday night concerts, during one by Chuck Berry members of the audience stormed the stage and the police were called to clear the theatre.